Schools and local football teams in the South Wales area are being urged to Club Together in support of grassroots football teams. Topps, the UK’s leading collectibles company is offering youngsters in the area the chance to win a training day with Premier League and Manchester City superstar, Kevin De Bruyne, a Premier League Manager (past or present) and a week-long adventure holiday camp as part of its annual Club Together competition. 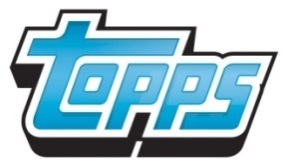 Topps is inviting teachers, coaches and parents from youth teams in the South Wales area to register their football squad online at www.toppsfootball.co.uk/clubtogether and get players, collectors, families and the local community to collect unique codes printed inside retail packets of Match Attax Extra trading cards. To be in with a chance of winning the host of money-can’t-buy and runners up packages, which include complete football kits, full training kits and ball and bag giveaways, South Wales competitors must simply enter Match Attax Extra codes online against their nominated local team in order to help rise up the Club Together leader board. Rod Pearson, Marketing Director at Topps, explains: “We’re really excited to launch this year’s Club Together competition. Following the huge success of last year’s Club Together scheme, and with the amazing prizes up for grabs, we’re confident it will be a big hit amongst young football fans.